I always try to make some of my Christmas or holiday presents. I myself really love getting handmade gifts and I know that some of my friends and relatives appreciate it too. As our world gets more and more commercialized, a handmade gift given to the right person can mean so much more than a purchased one. I’ve had these small, faceted, aventurine beads for a long time. 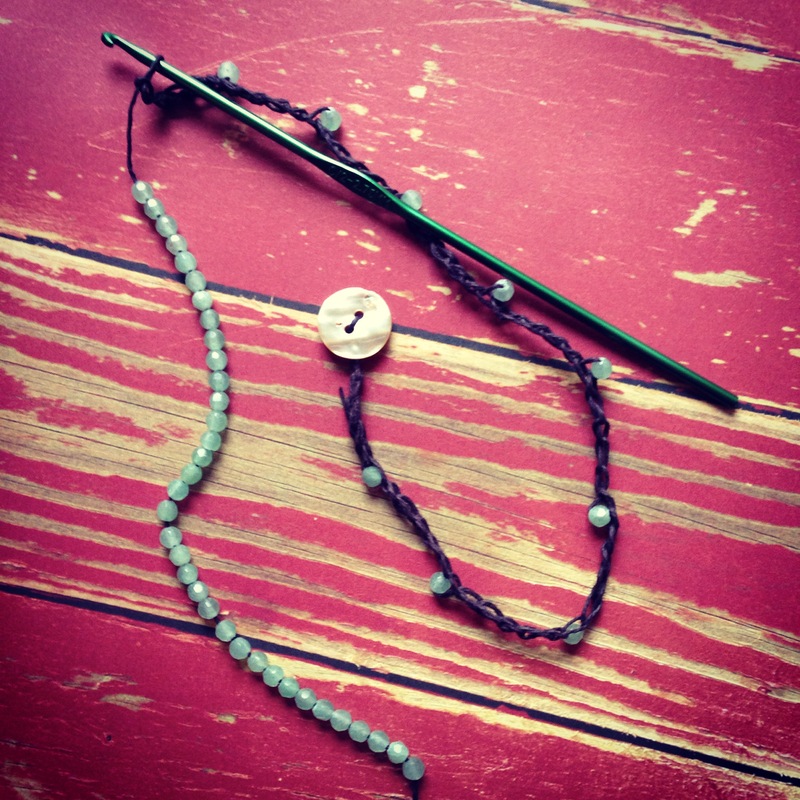 I love semi precious stones–jewelry, beads, and the stones themselves. Aventurine is known to be a healing stone which brings energy and opportunity. Thanks to Jewelry Making Journal, I followed this tutorial, with several changes. I only had 42 beads and I put 5 chain stitches between beads. I used 10lb hemp which I got at my local craftstore, Beverly’s. I used a 2.75 mm hook, because that’s what I had. After the piece was finished, I blocked it by wetting in warm water, and stretching it with pins across my ironing board. This made the bracelet longer and less bumpy–more “finished” looking. I like the natural, low-bling, boho style of this piece! Next time I think I will vary the number of stitches between beads to make the beads fall less uniformly. I’m not crazy about the way the beads fall in a crooked line on my wrist. It may fall differently on another size wrist. Not sure about that. The bracelet wraps around my wrist 9 times and can be worn as a long or short necklace. It was pretty easy and fun to make and I think I’ll make some more today. Want to join me? 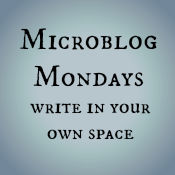 Ooh, it’s Microblog Monday! Check out Stirrup Queen’s great blog and list of microblog monday peeps! This entry was posted in crafting, nablopomo, photo 101, photography and tagged art, beauty, christmas, craft, crafting, crochet, gifts, Handmade Christmas, handmade holiday, handmade holidays, holiday, meaning, nablopomo, nablopomolove, photo 101, photography, photography101 by Project Easier. Bookmark the permalink.